The Torta Ahogada checks all the boxes that satisfying comfort food ought to: It’s meaty, it’s carby and it’s messy in a way that will leave you incredibly satisfied after you’re done. 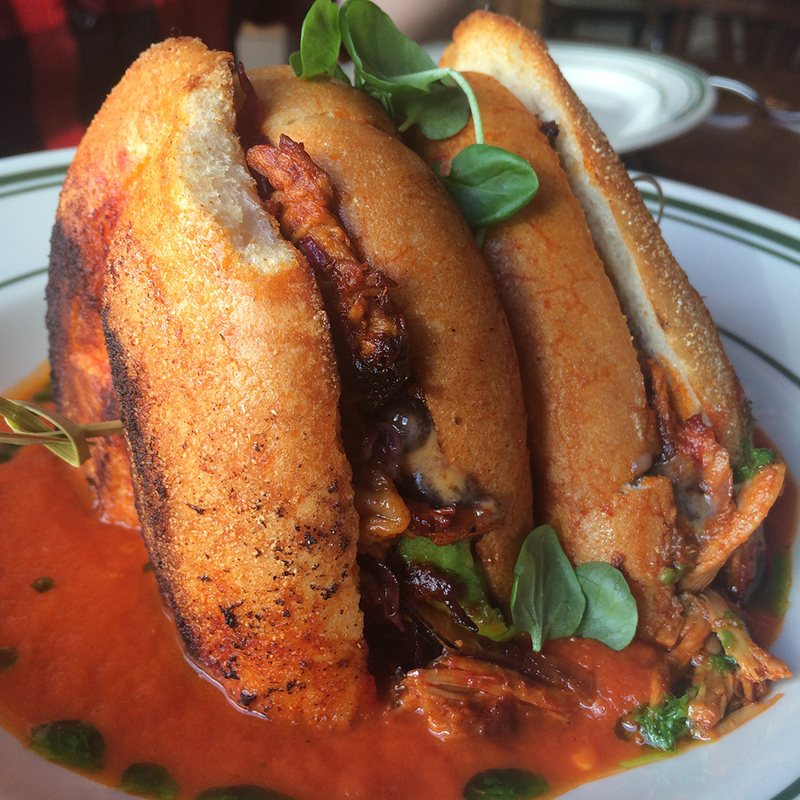 Chef Julian Medina’s insanely filling sandwich stands upright in thick, fresh-roasted chile de árbol (think the best tomato salsa ever) and will definitely bring you back for a second try. Grab some napkins and get hungry. The filling. Loaded with chef Medina's perfectly season carnitas—suckling pig slow-cooked for 3 hours in beer, orange juice, herbs and spices. All this meat packed with pickled cabbage with honey and habanero, thinly sliced onions, black beans and creamy avocado for a sweet and spicy kick. The bread. A thick, toasted Mexican torta, crispy on the outside, chewy on the inside and smeared with butter and house-made adobo.